No two kids learn the same way, and every family and community deserves high quality public education. That’s why, in 1999, the leaders of the Pueblo Nuevo Education and Development Group together with residents from the MacArthur Park community created Camino Nuevo Charter Academy (CNCA), a school built on the belief that every student should have the chance to go to a great school that puts their needs first, regardless of zip code, income, or ability level. 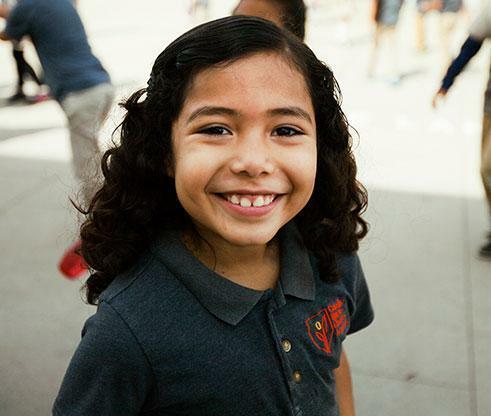 Today, eight CNCA schools are educating 3,600 students from early childhood through high school and proving that all children can learn and achieve when held to high expectations, exposed to rigorous and relevant learning experiences, and when given targeted intervention and support in a safe and welcoming environment. At Camino Nuevo, all high school seniors graduate meeting admissions requirements for the University of California and California State University systems. In 2018, 70 percent of them achieved admission to four-year universities. While only 9 percent of low-income students nationwide earn a bachelor’s degree within six years, the rate is more than three times higher for Camino Nuevo graduates. Our schools have won state and national awards for improving outcomes for all students. In 2015, Camino Nuevo earned the Bright Spot Award from the White House Initiative on Educational Excellence for Hispanics for closing achievement gaps between English learners and native English speakers. In 2018, the National Alliance for Public Charter Schools recognized our schools with a special induction into the Charter Schools Hall of Fame. Educational and economic inequities persist in our communities, but our resolve to reverse these disparities and change the trajectory of students' lives is stronger than ever. Join us in helping our students achieve their college and career dreams by becoming a mentor to our students, volunteering at our schools, or making an investment in our work. If you're a parent looking for a great school, apply today. We're free, public schools open to all students. I invite you to return to our website regularly and follow us on social media to learn more about our community. Thank you for visiting us. We are thrilled to share with you our very first Impact Report highlighting the work we do to put students on the path to success. View the report today! Get the facts about public charter schools and help us dispel harmful charter myths. Check out our new advocacy guide and take action now. Join us for our second annual Ethnic Studies Curriculum Fair and meet the Camino Nuevo teachers and leaders who are part of the Ethnic Studies for All Initiative. Enjoy delicious food and see a sampling of interdisciplinary K-12 grade-level units and lessons, and find out how you can join our initiative and bring ethnic studies approaches into your classrooms.